Looks like some really interesting presentations. I’m doing 2 presentations, one on Mobile Medicine 2.0, looking at how mobile phones and devices can be used for social networking type applications in healthcare. 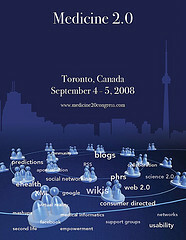 The other is about how I created my social networking site for UK medics, New Media Medicine.